TC's Blinds & Tile Services makes installation of blinds, curtains, and other door & window coverings easy. They have been assisting homeowners install new curtains and blinds, since 1999. 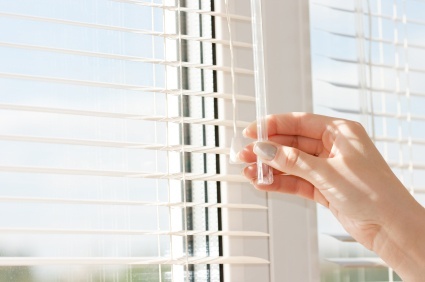 Whether simply hanging curtain rods, or installing more complex Venetian blinds, TC's Blinds & Tile Services can complete installation quickly. Experience – TC's Blinds & Tile Services's handymen have the experience to quickly mount curtain & blind hardware and get your window covering up so you can enjoy your home. They understand the interior of your home can be greatly enhanced with the installation of blinds and curtains that come in a huge variety of styles, fabrics and colors. They also offer Venetian blind services, to accentuate your home's decor and add visual elegance to every room of your house. Affordable – TC's Blinds & Tile Services has been providing affordable blinds and curtains installation services since 1999. Installing curtain rods or Venetian blind hardware and hanging curtains is not overly difficult. Avoid high service prices typically charged by window covering stores. Call TC's Blinds & Tile Services at (817) 381-0061 for a quote on blind & curtain installation, and save! For a free quote, call TC's Blinds & Tile Services at (817) 381-0061, to see how much you can save today!